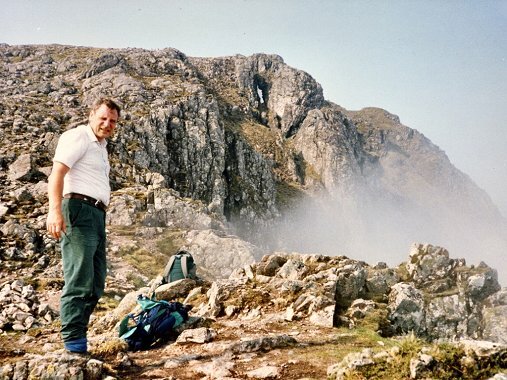 James Hawkes, of Kildoon Drive, Maybole, better known to his pals as Jimmy, has recently completed all 284 Munros. 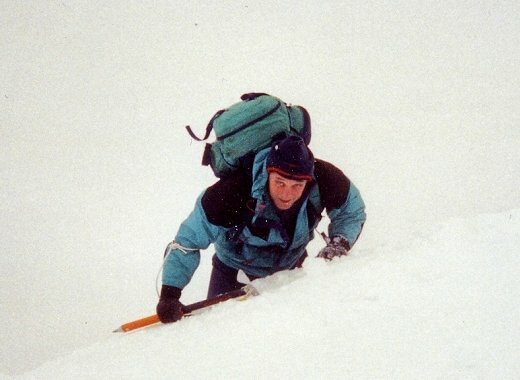 The completion of all the Scottish mountains over 3000 feet was done on Saturday 29th October 2005 and the last mountain to fall under Jimmy's boots was Geal Charn (Monadh Liath). 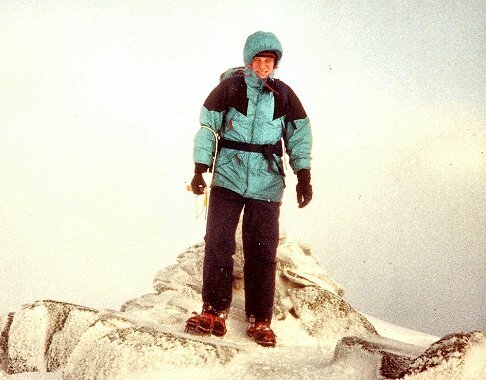 A party of 24 of Jimmy's hillwalking buddies accompanied him to the summit. 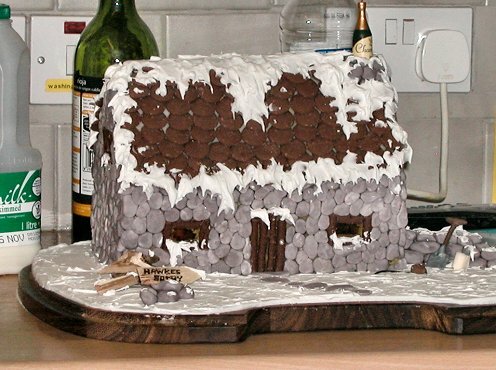 To help celebrate the occasion, Jimmy, cooked up a post "walk" dinner at a bunkhouse in Newtonmore. Jimmy's youngest daughter, Nicola, flew up from London to join him and climbed her first Munro, a case of first and last. Jimmy said that if it wasn't for Ellen, his wife, he could never have managed it ! 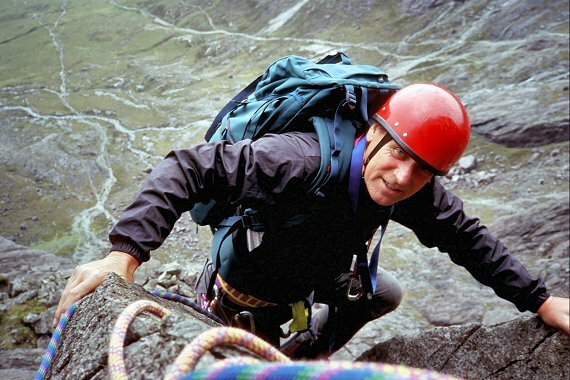 After the meal, the assembled celebrants were entertained by Munroist Gordon Borland, (#2218) who presented a slide show illustrating some of the memorable occasions during Jimmy's hillwalking career. Jimmy was presented with a wee "kilt clad puddock" as a memento, suitably wrapped in a Laphroaig container. 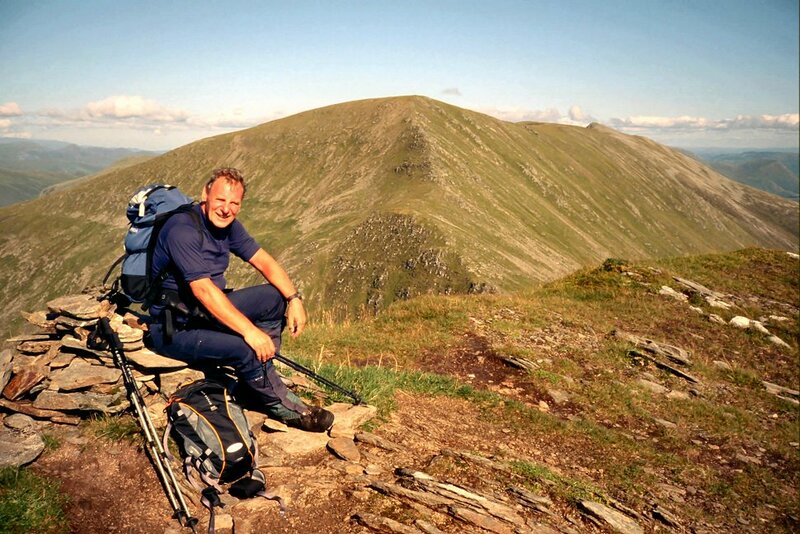 Although Jimmy has now completed all 284 Munro's, he has no intention of putting his feet up. As a keen cyclist, Jimmy can often be seen grinding along the highways and byways around Maybole and further a field. 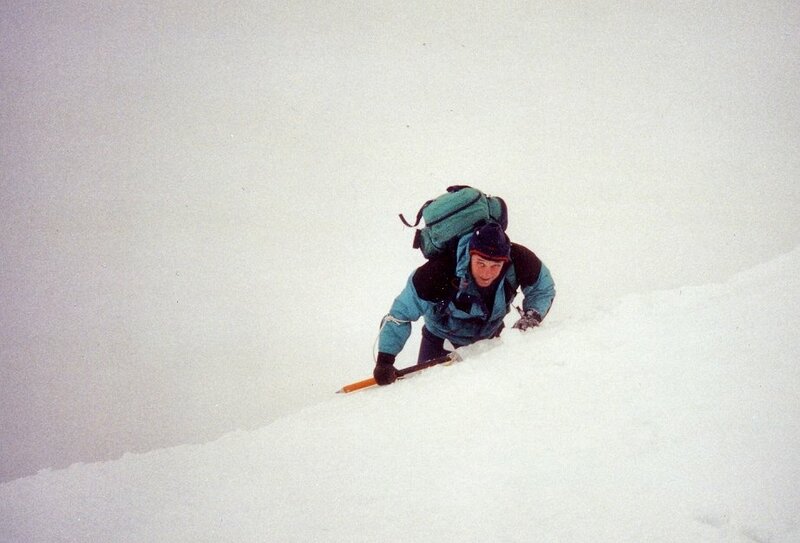 Jimmy Hawkes hasn't simply climbed all the Munros once, he's climbed many of them several times. 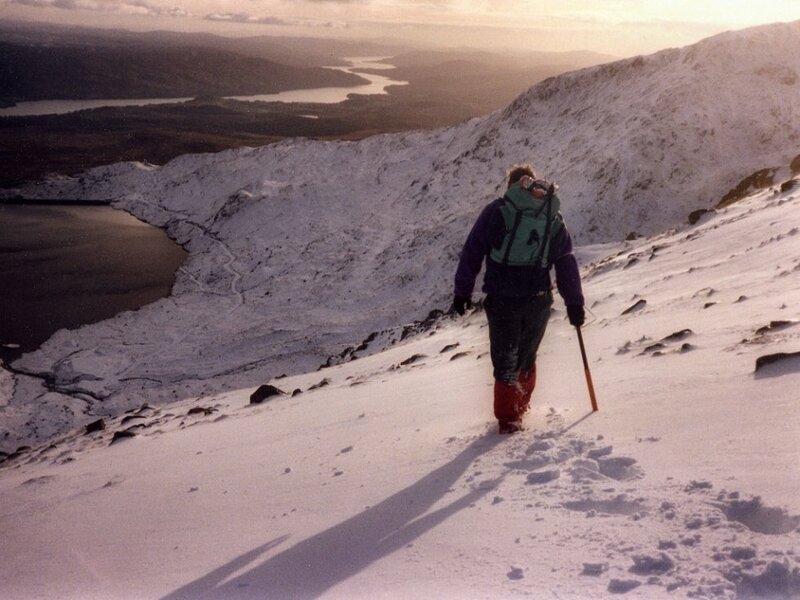 His first hills including the Cobbler and Ben Vorlich at Loch Lomond. 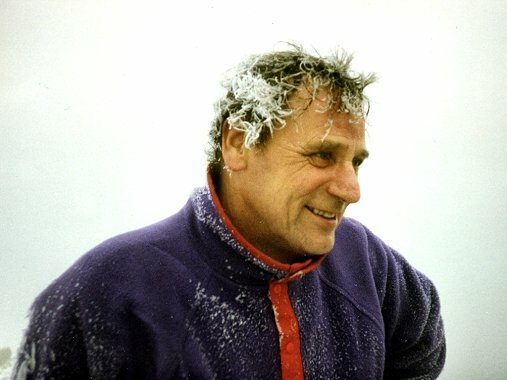 He has repeated these hills and many others numerous times, and says he always enjoys the fresh challenges and adventure a hill can offer in different seasons. The completion of all 284 Munros is a special achievement for Jimmy, as he is just about to celebrate his 65th birthday. 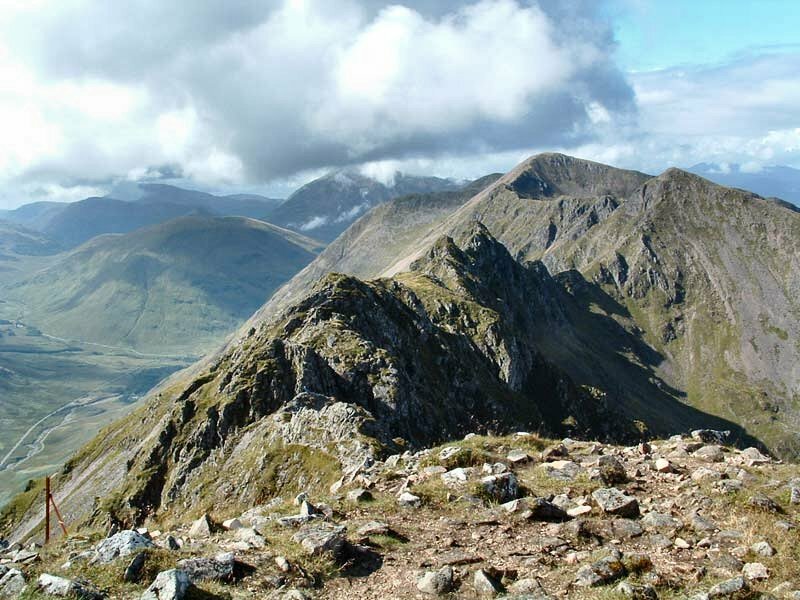 In addition to the Munros, there is another category of mountain called the Corbetts. 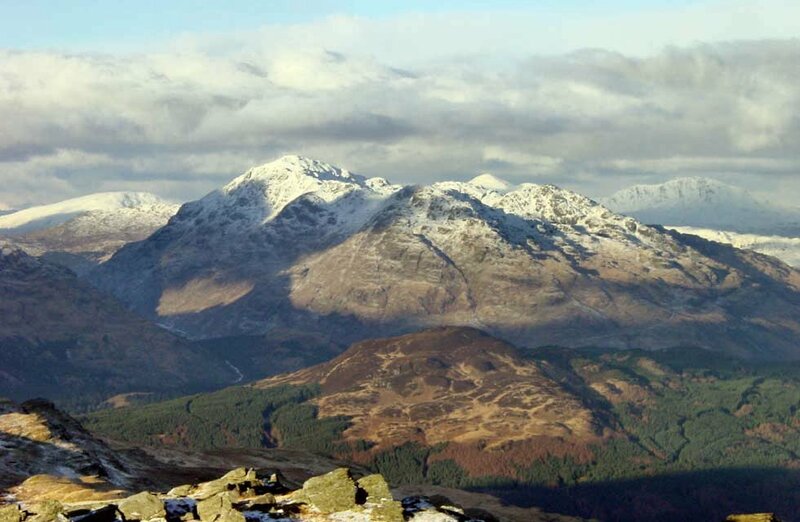 These are Scottish mountains over 2000 feet but below 3000 feet, with a 500 foot drop on all sides. Jimmy has climbed many of these as well. For Jimmy, one of the best aspects of Munro “bashing”, as it is called, was the sense of exploration involved in visiting parts of Scotland unknown to him before. 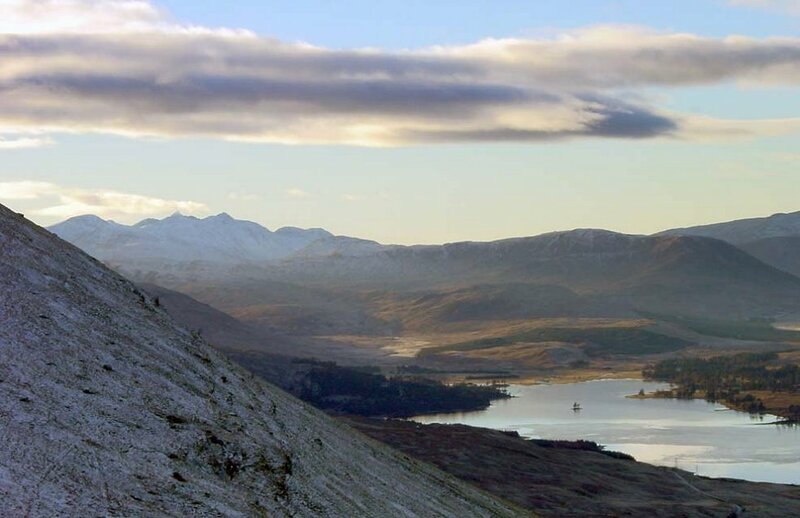 Exactly what the future will hold, he is unsure but he wishes to continue to explore new hills and areas, and also feels a deep seated obligation to assist those who have accompanied him on his walks finish their hills also.